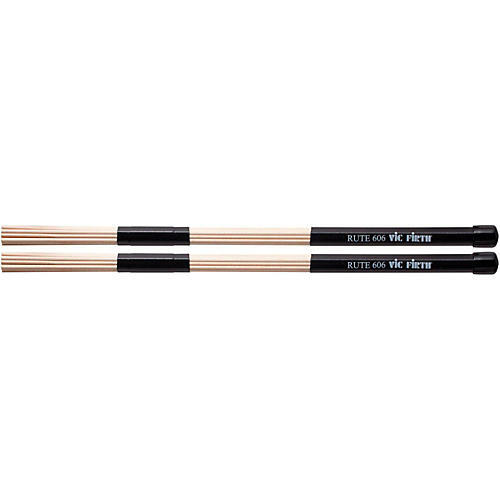 Vic Firth Fixed Position Band Rute is for rute players who prefer the balanced feel of a rubber handle and fixed position dowel band. Designed for all-around playing, Rutes allow drummers to play at lower volumes than solid sticks while still playing aggressively. Especially effective for unplugged settings, country train beats and for creating distinctive timbres. With 19 dowels (.125"). Length: 16-1/8". Handle diameter: .590"